The DC live-action universe has had a fascinating journey, and it’s still very much in its infancy. After Zack Snyder’s Man of Steel hit theaters, Warner Bros. went ahead with creating a shared universe for their characters to inhabit, and moved forward quickly both announcing and releasing projects. One blockbuster that seems to be actively developing is the Birds of Prey movie, which will unite Margot Robbie’s Harley Quinn with other female heroes and villains. Well, that’s a plot twist. Considering that the upcoming movie has only been referred to as a Birds Of Prey movie, many fans thought it would be titled as much. But Matthew Libatique is part of the production team, and is therefore privy to more information than the rest of us plebeians. Matthew Libatique’s recent comments to GMA News Online do make a great deal of sense, considering the cast that has been assembled for the Birds of Prey movie thus far. The upcoming female-fronted flick will be another vehicle for Margot Robbie’s beloved Harley Quinn, who made her debut in the less than stellar Suicide Squad. Since villains and law enforcement officers will also make up the film’s leading characters, it makes sense that a new title might be necessary. Currently set to join Harley Quinn in Birds of Prey, whether or not that’s the title, are a trio of DC vixens. Mary Elizabeth Winstead (10 Cloverfield Lane) is playing Bat-family member Helena Bertinelli / Huntress, Jurnee Smollett-Bell (True Blood) will take on the role of Dinah Lance / Black Canary, and longtime TV and film star Rosie Perez will play GCPD officer Renee Montoya. The overall storyline is a complete mystery, but there’s going to be a variety of women staring in the movie. 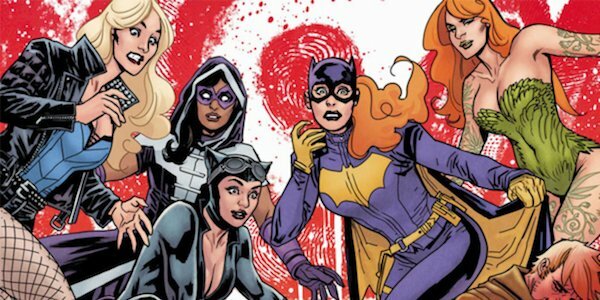 The Birds of Prey movie is currently set to be directed by Cathy Yen, and the screenplay is being written by Christina Hodson (Unforgettable, Bumbebee). There’s already a ton of female talent attached to the project, which will likely help increase excitement about the upcoming blockbuster. The call for diverse female representation both in front and behind the camera has been a hot button of conversation in the past few years, with new ground being broke with projects like Wonder Woman, Netflix’s Jessica Jones, andCaptain Marvel.